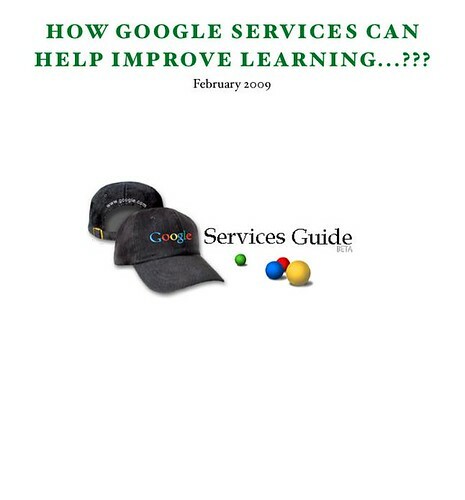 How Google Services Can Help Improve Learning...??? Google Services allow you to share information, your ideas and communicate amongst our teams and with customers/friends/family, regardless of location with ease. With Google Calender you can keep yourself organized and can have shared calenders with whoever you want to share with so that he/her knows at what time you are busy, and what event you are organizing or taking part in. Similarly, with Google Docs, you can safely share, edit and save online documents. You can make a presentation with Google Docs. 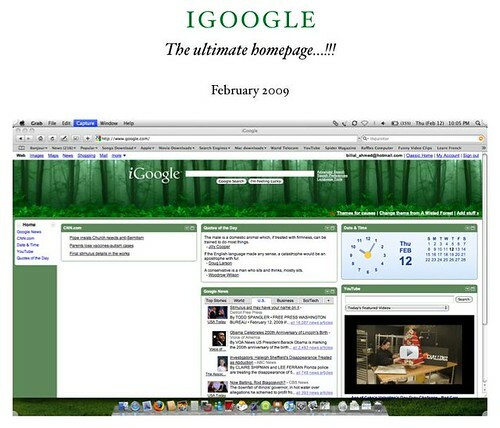 iGoogle allows you to have an easy to use customizable start page. Save time and money with Google Services, worries about losing assignments or about updating and software versions of the application you run on your computers are a thing of the past. Best of all, these tools are available to you anytime and anywhere there is an Internet accessible computer. Everyone can work together seamlessly and easily. You can collaborate with other (friends/family) using Google Sites. Make a presentation with Google Docs. 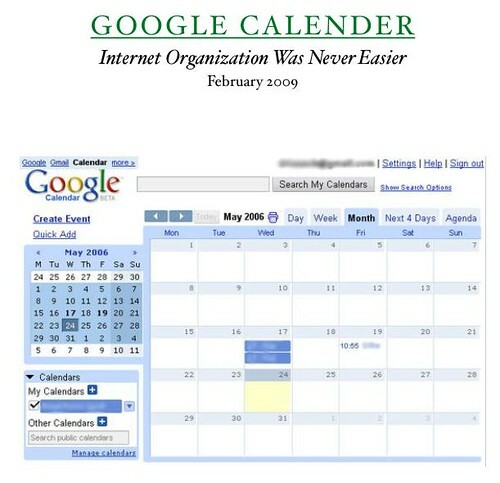 Keep yourself organized using Google Calender. With Google Services, everybody is running the same copy because it all comes from a central server. That's a more secure and a more powerful way than anything. Secondly and the important one, Google Services are very flexible as they are web based applications they can be accessed from PCs, Macs and Linux machines, so Google Apps is the ideal solution. Our objective is to create awareness among people by which they can save millions of dollars over any of the alternatives and provide them with worldwide disaster recovery and device independence. Everything is browser-based. When you work at home, you can see the exact same setup that you have at work. It's securely hosted by Google so we don't have anything to backup or manage. This why you don't need to have servers anymore. So its really cost effective. The shared calendar, portable email, and ease of use had a direct impact on productivity and job satisfaction in business communities. Furthermore, our main focus is to provide the users with the features and key benefits of using Google Services and its accessibility from anywhere and simplicity to use. That means you can connect outside to the office and better able to keep in touch with clients. Google services are extensively being used in the business environments and educational institutes as it provides easily scalable and affordable email and calendaring platform with minimal maintenance. Whether your business is moving everything to the cloud, just wants an affordable email solution or struggles to give employees access to critical information, Google Services will help you explore resources and work smarter. Gmail and Google Calendar keep employees connected and save your company time and money. Google Docs, Google Video and Google Sites complement traditional office software to make teamwork easier. Companies or departments can use these apps on their own to be more productive. "With Google Apps, our journalists can really work from everywhere in the world. They only need an Internet connection and good ideas." It lets you centralize and consolidate information, simplifying our company's internal communication process and gives you better control over your business. Google Services allows the entire campus community-students, faculty, and staff to share information and ideas more easily. You can start bringing that vision to life. With free email, messaging, and shared calendars, everyone on campus is connected. They can collaborate in real-time and access documents, presentations, spreadsheets, and sites from anywhere, on any device. Stop attaching and start sharing. Moreover, the Google applications saves their IT department time and resources, while keeping their data safe and secure. Keep your school domain without maintaining software or hardware. "After several years of using other hosted solutions we needed to find a better service. We found Google Apps to be the best solution for our needs. It has better functionality than anything else we looked at, or have used in the past, and is extremely easy to use. Our students love it, and so do I!" 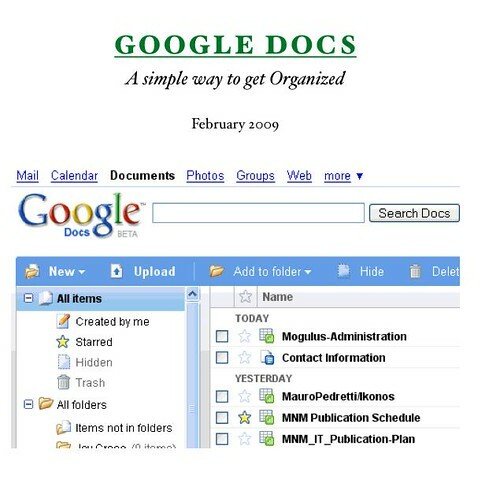 Google Docs is a word processing application for the Web (cloud based application) which allows you to create and share your online documents, presentations, and spreadsheets. It has a good selection of standard word processing features and covers the essentials for most writing purposes, especially for students who may need to use lab computers, power users who edit documents from more than one computer, or writers who want to collaborate on a document without emailing it back and forth. However, it still lacks features found in desktop word processing applications, such as grammar checking, templates, and the ability to handle larger documents. It is slow and sometimes unresponsive. is really fast and easy. There is a row of common choices, such as save, print, spell check, cut, bold, paragraph formatting, and list numbering. Moreover, There are two rows of text menus with drop-down selection, such as the file menu or font menu. Another useful feature that Google Docs provide is that we can share our documents and can collaborate in real time. Thats very handy when we are working in groups and want everyone to participate simultaneously instead of sending and receiving e-mail messages and making copies of the document every time we send an e-mail. The bottom of the screen notifies you when someone else is also editing a document. Collaborators can also insert comments, rather than editing the actual document. Google Docs also allows us to import and export documents in other formats too which means that you can upload your existing files whose format may includes DOC, XLS, ODT, ODS, RTF, CSV, PPT, etc., and export files in the same formats and as a PDF. It also provide you to have control over who can see your document which means that you can publish it for the whole world to see or for only a few peoples. Its up to you. Furthermore, you can also publish it directly to your blogger or other blog. Finally, Google Docs also licenses you to safe your work securely and organize it in a way you want. It has a built-in auto save feature which means that it keeps on saving as you type. Hence, you don’t loose much data in case of power failure. Easily find your documents by organizing them into folders. Drag and drop your documents into as many folders as you want. You can organize your documents by tagging them with keywords or flagging them with a star. Documents can be sorted by the date of last modification, document title, or document owner. You can also search within your documents to find a keyword phrase. You can also create your own group on any topic you are interested in. Making a new group is very fast and easy you just pick up a name and start inviting members and its upon you wether you want your group to be public or private. Private restricts access to only those people you allow whereas, in public groups anyone in the world can see and respond to the messages or questions asked in the discussion. Finally, Google Groups allows you to share your files and member information which means that the group members can upload files and share their work with others in the group. Each member of a group can create a profile, including a picture and quote allowing you to share information about yourself, and even find other members using search. 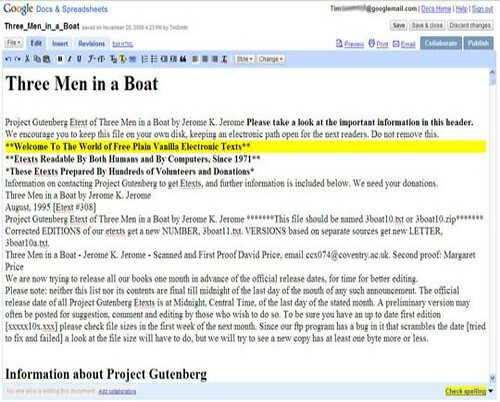 How far back does Google's Usenet archive go? Can I use Google Groups to archive another mailing list? Google Calendar allows you to easily keep track of all your life's important events in one place. You can add events and send invitations with ease, share your schedule with your friends or family, and search for events you might enjoy. Talking about its interface first, On the left side of the window, there's a small calender, so you can quickly jump to different sections of your calendar by clicking on a date. On the upper right corner, there are tabs to switch between day, week, month, the next four days, and agenda views. The main area shows the current view. The left side of the screen lets you manage shared calendars and contacts, and the top of the screen provides you a Google search of your calendars, so you can quickly find events by keyword search. To add an event click on the position where you want the event to be and start typing. You can also import calenders from other programs like ical or Outlook. Moreover, you can also turn on reminders that can help you keep track of important events. This comes in handy when you are too busy to check your calenders as they are located on the web. You can choose to be notified by email, popup window or text messages sent right to your mobile phone. You can also create multiple calenders when you want different calenders for different areas of your life. For example one calender for office works and one for the home. Last but not the least, Google Calendar provides you with complete control over sharing your calender. You can control with whom your calendar is shared and what information others can see. Calendars can be shared with individuals that you specify or you can choose to make your calendars public and searchable by other users. You can make calendars completely public. This would work well for organizations or education institutions. Anyone can add a public calendar to their calendar and view all the dates on it. You can choose to share only times when you're busy, share read-only access to event details, share the ability to edit events on your calendar, or share the ability to manage your calendar and invite others. This means your boss may get to see your work calendar, but not your personal calendar. Or perhaps the bridge club members could see and edit bridge dates, and they could tell when you were busy on your personal calendar without seeing any details. 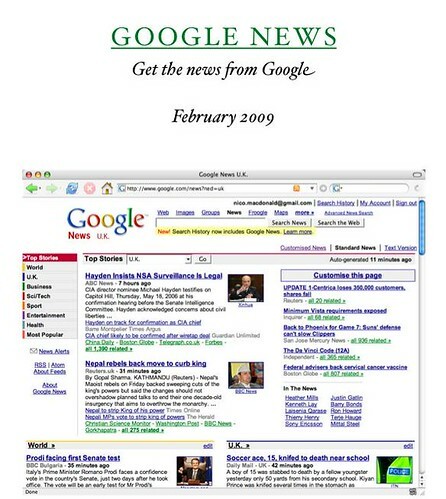 Google News is a news site that combines headlines from more than 4,500 English-language news sources worldwide, groups similar stories together and displays them according to each reader's personalized interests. Just enter text into the Google keyword search box and then press the Search News button. Now what does this mean …? Lets say that the news related to current science and technology interests you and you daily open a number of news sites you know (e.g CNN, BBC, GEO etc) and then go to their science and technology column or portion to read the news regarding science and technology. Instead of wasting much time in searching, Google News provide you with all the relevant search you are interested in at one place.This is like having your own personalized newspaper with only the topics that interest you. It offer links to several articles on every story, so you can first decide what subject interests you and then select which publishers’ accounts of each story you’d like to read. Click on the headline that interests you and you'll go directly to the site which published that story. After signing in to Google News you can also subscribe to receive weekly, daily or as-it-happens email alerts on any topic that interests you. If you didn't find any news articles related to your keywords, or you'd like to keep on top of a specific news item, you can set up a Google Alert to send you an email when a relevant news item is published. There is another important part of Google News that you can search and explore information from historical archives dating back over 200 years and access it from any mobile phone browser. Overall Google News is polished and easy to read. It is dense in information and does not feel untidy plus, there aren't any distracting animations or advertisements on the page. Google News is not itself publishing any news articles. Moreover, you can also add Google News channels to iGoogle or Google Reader-these two services will be explained later in the report. 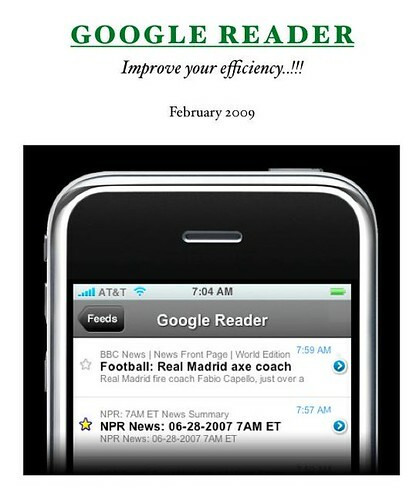 Google Reader is a basically a feed reader through which you can keep track of your favorite news websites. It constantly checks your favorite news sites and blogs for new content. Whether a site updates daily or monthly, you can be sure that you won't miss a thing. Now, First let me explain you what mainly a feed is…? publish public feed collections. It can also import your feeds from most popular feed readers. access. Whether you're at home, at work or abroad, your subscriptions stay with you. you are busy somewhere, you can also read the feeds through a mobile phone browser. Let us take an example of how Google Reader can be effectively used in a school or university. their teacher to help with their on going assignments. their own students. They can also share news about topics of study. "Official Google Reader Blog: Breaking up isn't hard to do"
"Official Google Reader Blog: 'We found it!'" First, let me explain what bogs are…? users produces an ongoing narrative. book, writing a salad recipe or anything else. Docs to post to your blogger blog. 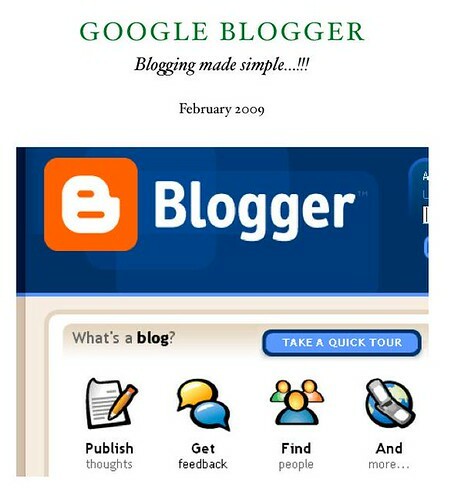 Blogger also let you email your posts to your blog by configuring it with a secret e-mail address. You can also upload pictures and add links of Google video and Youtube videos to your blog. You ca also post pictures directly from your mobile phone. your posts either private or restricted to approved readers. and it helps you when you want to glance back on your own posts. Overall, Blogger is an excellent place to start blogging. from other classes the general public. on class happenings and share their ideas with other educators. iGoogle is basically a homepage that you can customize yourself according to your needs. tabs let you organize the start page based on your interests. write their own gadgets. This ensures many new gadgets in the feature. 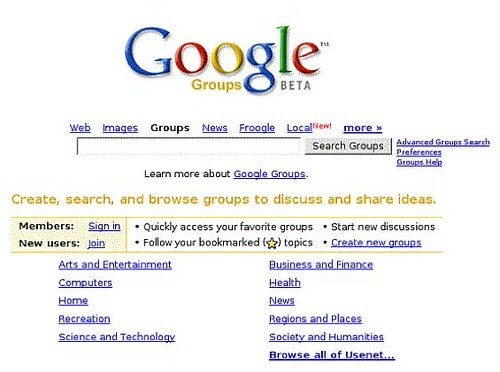 lead to iGoogle being the most productive start page. work. They can also create customized tabs for assignments, activities or personal interests. create a tab to access their online learning network. 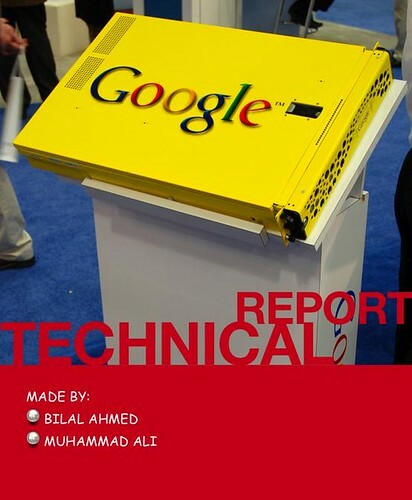 Webpage Gadgets Directory - Official Google gadgets (universal gadgets) directory. you identify the most relevant research across the world of scholarly research. 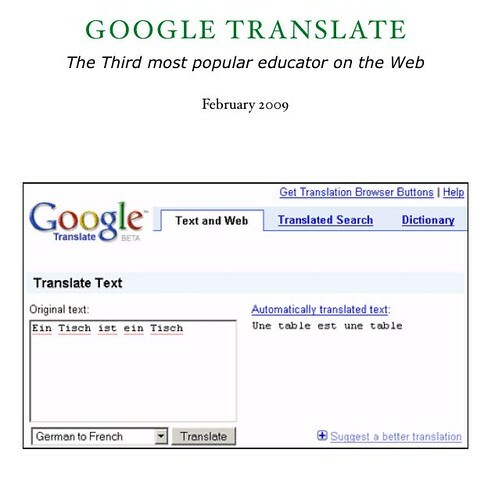 case a user think that the google translated text is not correct. expensive than Microsoft Office but with much the same functionality. 2007, Google's $50-per-year price tag is cheap. very useful for remote workers/students. solutions. Gmail has the best spam and virus filters of all the web-based e-mail services. corporate software install without the production and installation costs.